The Uttar Pradesh transport department has decided to fix HSRP Plates on all old and new vehicles to make them safer and curb cases of counterfeiting and duplication. 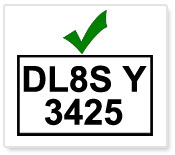 HSRP is a secure number plate aimed to establish a uniform pattern of displaying registration marks across the country. The plates carry unique details along with the registration number. While the regular registration plates can be easily tampered with, making them prone to theft, HSRPs are tamper-proof, non-replaceable and ensure more safety for vehicles. The transport department has issued a tender inviting suitable bidders to create infrastructure for supplying and affixing HSRPS all around UP. HSRP was introduced by the Centre and the UP government intends to implement the scheme as prescribed in Rule 50 of the Central Motor Vehicles Rules, 1989, and Motor Vehicles (New High Security Registration Plates) Order, 2001. Transport commissioner K Ravinder Naik told TOI that HSRP minimizes the risk of vehicle theft. "We have invited a bidding tender for implementing the project and to establish necessary infrastructure. The bidders will maintain and operate the infrastructure, formalities, services and establishments in all the districts of UP," he said, adding that the transport department would soon call a pre-bid meeting to discuss the issue. Naik said all existing and new vehicles would have to use the HSRP. New vehicles sold in the country will come fitted with HSRPs and the transport department will organize camps to facilitate fixing of the plates on old vehicles. The Supreme Court direction said states have to implement the project within two years. "We will ensure that all our vehicles have the plates by then. The transport department may seek an extension of six months if all the vehicles are not covered in the stipulated period," the transport commissioner said. Officials said HSRP would also aid in creating a computerized and nationwide database of registered vehicles. Uttar Pradesh has a total of over two crore vehicles on city roads. RTO Ghaziabad, which covers the region of Ghaziabad, Noida, Hapur and Bulandshahr, has a total of 15,61,127 vehicles. High Security Number plate seems much organized in Imphal - been number series with last date as affixation date been announced. As per Circular by Transport Commissioner, Bhopal - Any new car to be delivered should be delivered with High Security Number Plate, which is to be mandatory affixed before handing over car to customer. b) Will the car dealers in Bhopal - will deliver the car to customers on time. Will they not pass the buck to RTO - in event of car not delivered on time !!! - Recently, a PIL been filed by Advocate Punam Singh that High Security Plates been supplied in Delhi are defective. Also, in the PIL - it states that the entire process of issuing and affixing number plates is in violation of Supreme Court Order. High Security Number Plates in coming in Action in Hyderabad. Traffic Police goes Digital from May 2013 in New Delhi, India. 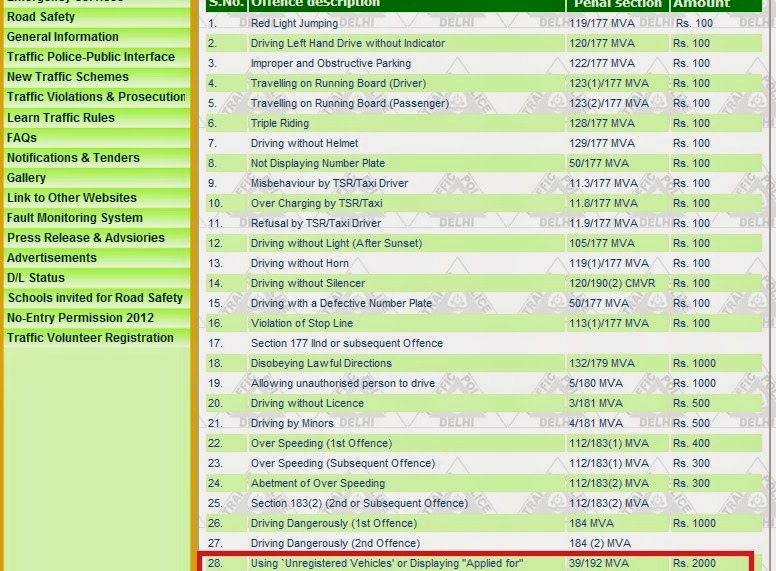 E-Challan is getting implemented in Delhi starting 1st week of May and in subsequent months is expected to get implemented in Mumbai - following which other cities will also be covered under same. - Transport Department in Delhi aims to cover entire set of over 70 Lakh Vehicles in next 18 months with a phase wise approach. After focusing on new cars, the second phase is covering vehicles purchased post 1st Jan 2009 onwards. A protest was offlate taken by small time number plate makers opposing the license given to one party for making the number plates. Last year, over 40,000 new cars are been added up in Surat and considering the diamond market - it has one of the affluent families out there. Its estimated that overall more than 3 Lakh passenger cars are plying in Surat alone. - As per Estimates, not more than 5% of the vehicles still carry High Security Plate with them at present despite 10 months of starting up of this HSRP Procedure in Delhi. Transport Department in Delhi has come out with a public notification stating "Any vehicle bought after April 2012 and running without HSRP will be prosecuted". By following above links - one can know the status with appointment and nearest HSRP Center for affixation of same. High Security Plates Installation has started off in Chandigarh. The process is worked in Chandigarh in much organized way after initial failure in Delhi where consumers and Dealers have been complaining of delayed affixing. For Old Cars : Where Number Series will be published in newspapers, banners and other print media with appropriate centers address and time to get HSRP fixed on old cars. As per Chandigarh RTO "In case of already registered old vehicles, the vehicle owner shall submit an application for fastening HSRP to the vehicle and also deposit his/her original Registration Certificate (RC), only at the office of RLA, Sector 17, U.T. Chandigarh, from 9.00 a.m. to 1.00 p.m. and 2.00 p.m. to 4.00 p.m. (Monday to Friday)." The Car Owners can now expect a delay in delivery of there New Cars by 3-4 days from Dealers even after making the complete payment for HSRP to be affixed. In Nutshell - the responsibility of fixing HSRP is now shifted to New Car Dealers rather than the actual owners. The Judgement is Effective for Capital City - Delhi , however for other cities - it may soon also follow the footsteps including NCR - Noida, Faridabad, Ghaziabad and Gurgaon. As per Hindustan Times - the report said by HSRP company officials Utsav is that "over 3500 plates are been made daily now and over 40,000 plates are ready for which car owners have not yet got it collected from RTO"
All Cities in India - Mumbai, Kolkatta, Delhi n NCR, Chennai, Hyderabad, Bangalore, Goa, Pune, Kanpur, Lucknow, Nagpur, Surat, Jaipur, Patna, Bhopal, Ludhiana, Varanasi, Coimbatore, Madurai and all semi metro n other cities in India will be implementing high security number plates. All Types of Car Makes - Maruti Suzuki, Hyundai, Honda, Toyota, Skoda, Tata, Volkswagen, Chevrolet, Ford, BMW, Audi, Mercedes Benz, Porsche, Lamborghini, Bentley, Rolls Royce, Bugatti - means any make of the car which is running on road and of any year of make whether 2012, 2000 or 15 year or even 20 year old needs to have High Security Registration Plate Mandatory. Customer has to make advance payment in favor of the respective RTO . Then he will be given time slot and date on which he has to come to deputed center of RTO for change of number plate to high security number plate. 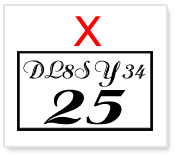 As per news from online space, High Security Plates for New Cars to start from April 30, 2012 and for old cars plying - this will begin from 15th June with a deadline of 2 years in which this task needs to be finished. These are the estimates and final price yet to be known. The costs involved for the number plate, taxes and affixing it on the car. 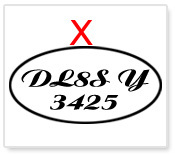 High Security Number Plates is Starting as Mandatory Process in all Cities of India starting April 2012. What are High Security Plates? 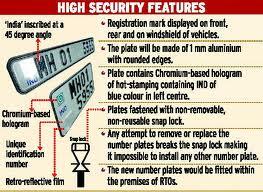 They are New Age Number Plates which are non breakable and built on 1mm thick aluminium sheet having 7 digit laser imposed unique code with a Chakra image having 'Ind' - depicting India on left side along with non removable snap lock. The deadline for High Security Number Plates is 2 year and is mandatory for both New Cars and Old Cars in all Metros, Semi Metro and Other Cities of India.